Ocean View Modern Condo:Time to book Spring and Summer weeks! This beautiful immaculately maintained condominium is located at the northern tip of North Myrtle Beach. Limited view of the ocean as well as the channel can be seen from the balcony. There is nothing more relaxing than the sound of the ocean hitting the shore! This third-floor unit has an elevator for easy access and a private entrance to the guest bedroom. You will enjoy all the comforts of home in this spacious, Non-smoking condominium with its fresh paint ,attractive furnishings, new flooring that looks just like hardwood, and beautiful granite countertops! Just steps away is the quiet, wide, uncrowded beach of Cherry Grove which is ideal for biking, sun bathing, or just taking a leisurely stroll. Minutes away are many attractions to make your vacation complete. You will enjoy public golfing, a variety of restaurants, outlet shopping, and top entertainment at Carolina Opry, Alabama Theater, and House of Blues! No motorcycle, golf cart, or trailer parking allowed (Homeowner Association Rules). Must be 25 to rent. This is the only rental unit that I own and I use it for my own use when work schedule permits. That being said, the unit is kept in A-1 condition and spotlessly clean. We want our guests to enjoy their holidays and vacations away from home. We do, however, expect guests to leave the condo reasonably clean upon departure. The location is so wonderful. The beach here is wide and the ocean beautiful. It is quiet compared to Myrtle Beach and very family friendly. I would love to share my 'home at the beach' with you!!! Guest Bedroom has a separate entrance to the hallway and into the bathroom. Fully equipped-dishes, pots, pans, blender, coffeemaker, etc. We gad a great Thanksgiving week here. Nice condo, has everything you need. The kitchen is stocked with all the essentials. Quiet location - just a short drive to restaurants and shopping. Thanks!We try to make our guests as comfortable as possible. Very comfortable, clean, and full of amenities! This condo was very comfortable, clean, and full of amenities. You name it, the owners have thought about it with this condo - we literally didn’t have to bring hardly anything other than clothes. It is also just across the street from a public beach access - very convenient! 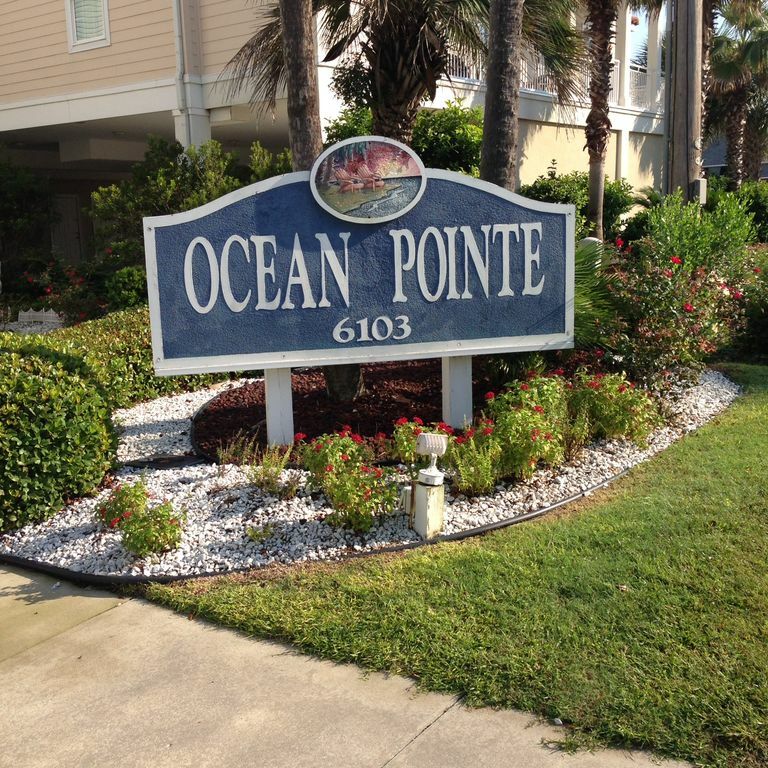 I highly recommend this condo to anyone looking for a great spot in Cherry Grove! First impression well maintained and clean. well kept. Really liked all towels and linens supplied. Short walk to beach, great pool. Close to a lot of golf courses. So glad you had a great time! Please come back soon. This condo is clean and updated nicely, has ocean access just across the road near the end of the beach to the north and was so comfortable. We would definitely stay here again. We've stayed in Myrtle many times and this is the best place we have stayed yet! Thank you! It is our goal to make this your home "at the beach"! Hope you can visit again soon. Tranquil Area of North Myrtle yet close to Main Attractions! Rental Fee includes all taxes and departure cleaning.